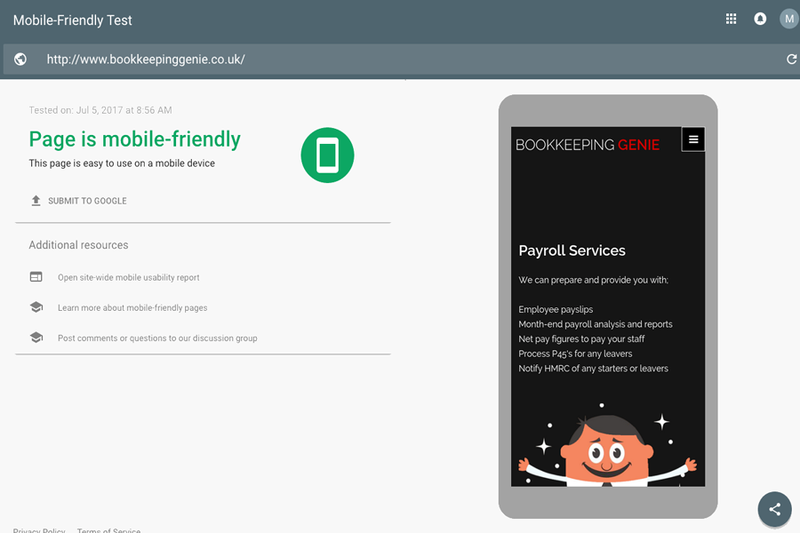 This week's website of the week goes to Bookkeeping Genie. Ms. Green has over ten years’ experience in managing financial information for various companies. The website features a dark grey and white colour scheme, which is broken up by a splash of red for the branding and colours which come through on the vector graphics. The website is a one page website with anchors from the menu item that take you down to the relevant part of the website. The top section area is a slide show with frames. 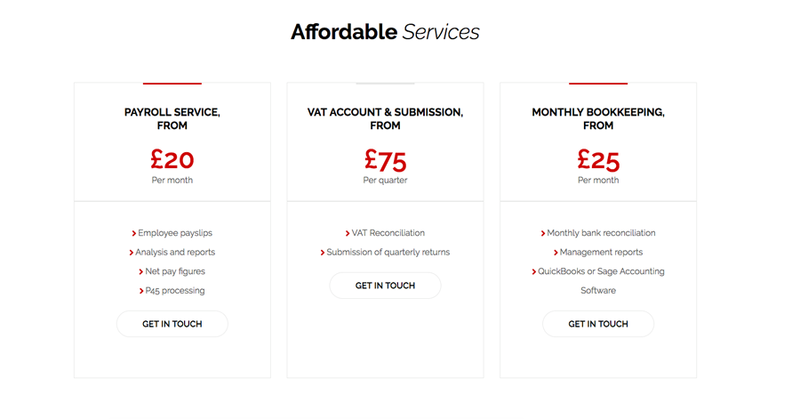 The pricing options have buttons with pop up forms to enquire about that particular service. The website features graphic style imagery rather than photographic. The overall feel of the website shows it has a strong brand and the cartoon style of the graphics is consistent throughout. The website passes Google's Mobile Friendly test meaning that the website looks good on desktop, tablet and mobile. You can also test the speed and loading times of your website using Google's speed checker. Did you know... we can create bespoke graphics and vectors for your website if you'd prefer not to use photography like the example seen here.